Silky and creamy, avocados are perfect in recipes that are savory and sweet. Usually served raw, avocados are typically equated with guacamole. While I love this green dip for chips, there are so many more delicious uses for avocado. I used to not like avocado. I think it was something about the color of this green fruit. But I grew up and learn to love it in my college days and now it’s a favorite in anything summer related including salsa and Mexican fare. It’s creamy and delicious and is loaded with heart healthy omega-3 fatty acids and has more potassium than a banana and is loaded with fiber. Avocado goes great in this pasta as well as salads, smoothies and grilled meats. 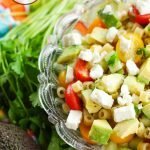 My pasta salad features the authentic flavors of Greece – cucumber, tomatoes and fresh feta cheese. Avocado is the icing on top. This is the perfect side dish for any barbecue, potluck or party. We enjoyed this Greek avocado pasta salad over the Fourth of July weekend while watching fireworks and eating fried chicken. Now be sure you pick out the right avocado. A ripe avocado is squeezable and yields to gentle pressure. Pop off the stem of the avocado. If it pulls away easily and it’s green you got a winner. After scooping out the insides and slicing or chopping, I always shower it with a little lime juice to keep it from browning. I have lots of variations of cold pasta salads in my refrigerator over the summer. Summer is just too hot to be eating it – hot! This one goes great with any grilled meats, including lamb. There are a few more weeks of summer left. Be sure to give this a try before the cool weather sets in. 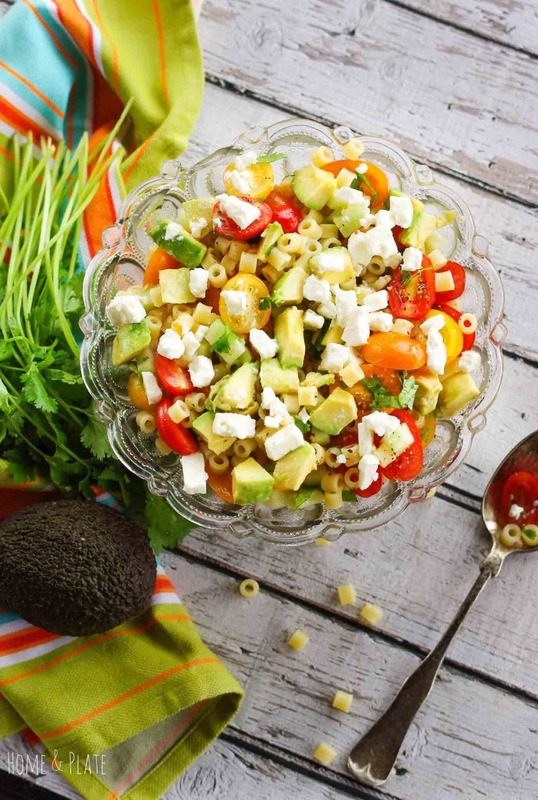 Keep it cool this summer with this Greek avocado pasta salad featuring summer's best vegetables. Cook the pasta according to the package directions. Rinse with cold water and drain. Chop the avocados and toss in the lime juice to keep from browning. 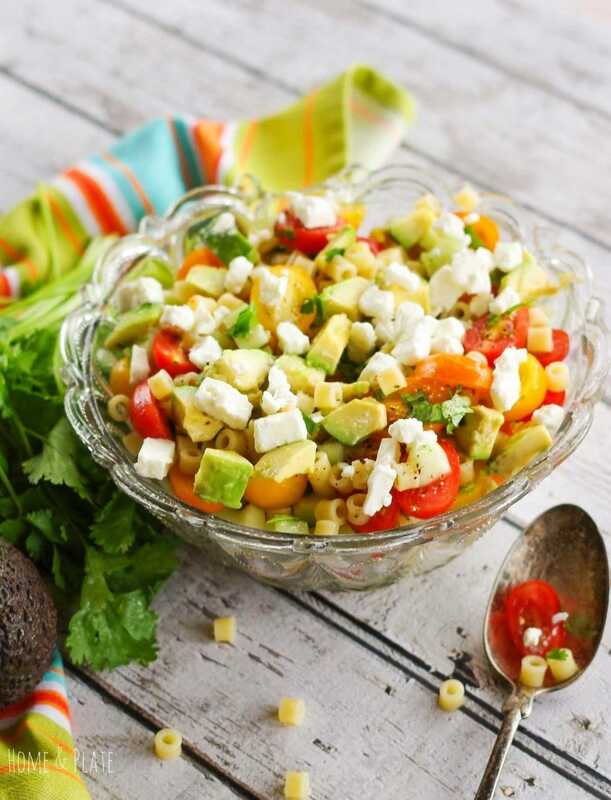 In a large bowl add the pasta, cucumber, tomatoes, red onion, avocados and feta cheese including the water. Stir in chopped cilantro, the olive oil and balsamic vinegar. Stir carefully as to not break up the feta or avocado. Sprinkle with kosher salt and pepper to taste. Looks delicious! I love how all of your ingredients are the same size and it all looks beautiful together. 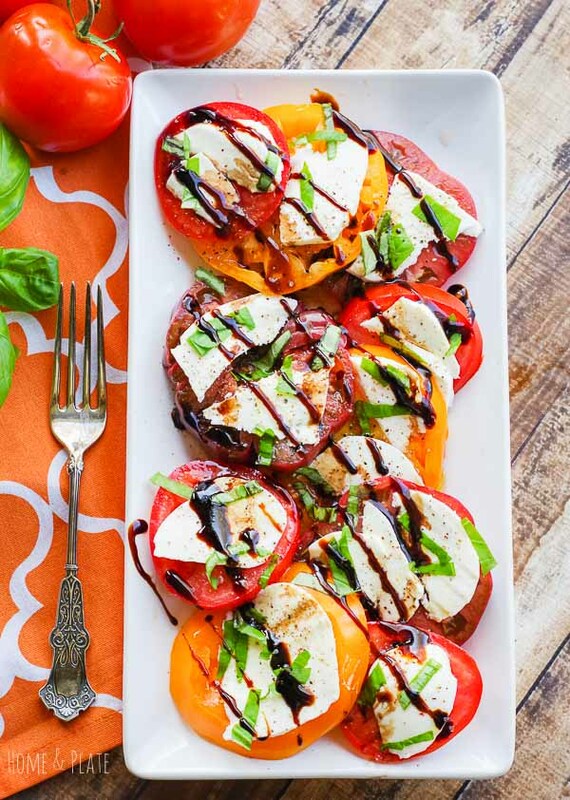 We eat salad all year long – but yours is the perfect combo for summer. Thank you for sharing! Thanks Marisa. We love eating fresh veggies all year round. Summer veggies are the best. I used to not like avocados either. Absolutely love them now. This salad sounds amazing. Such a great combination of flavors for summer. Funny how our tastes change as we age. Love avocados now as well as so many other veggies. Love the ditalini in this, such a cute shape for a pasta salad and this one looks so delicious! Thanks Kavita. 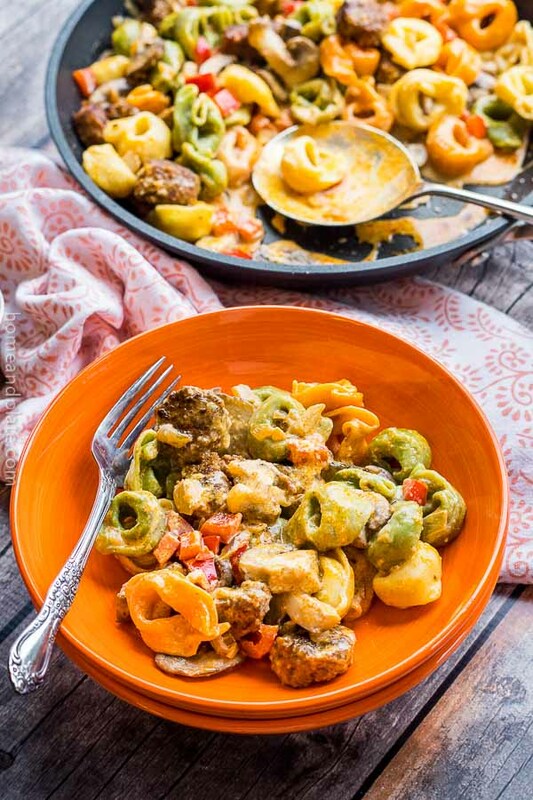 I like using ditalini because it’s the perfect size pasta that doesn’t detract from all the veggies. Simple, clean ingredients. My wife would so totally go for this recipe. The feta is the best and I, personally, like the addition of the avocados. I am drooling over all the yummy avocado options here! Hummus = brilliant! This looks really delicious! 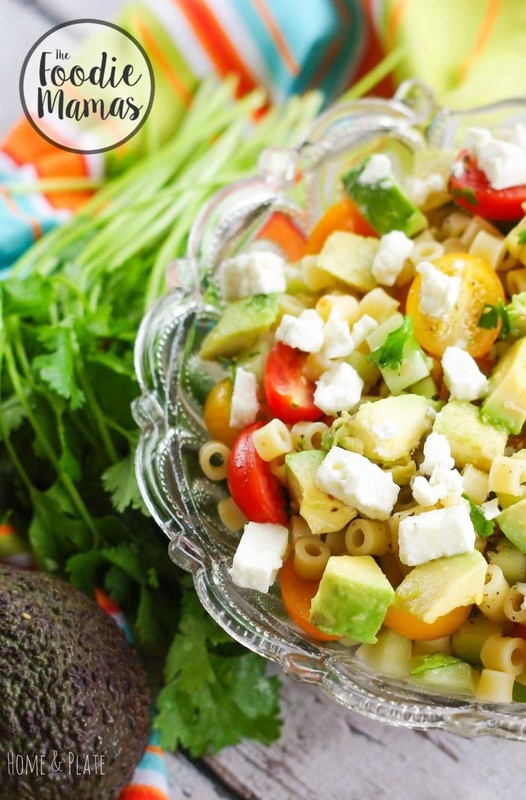 I adore pasta salad and I like the idea of combining avocado, tomatoes, and feta. Just might give this one a try!